This year is the 30th anniversary of the Braunston May Fayre and it's promising to be one of the best ever. We're hoping to make it an even bigger event than last year when we had an estimated 1,200 people join us in our fun and festivities. Our annual May Fayre is taking place on Monday 6th May and is the place to be this May Day holiday. As has become traditional, our usually peaceful and picturesque village will be transformed into a lively whirl of activity with a thriving street market, children's fairground rides, family games, a craft market in the church, classic cars on the village green, games and bouncy castle outside the Village Hall. The main day will start at around 10am when the Church bells will be ringing to open the Fayre. Throughout the day we have street stalls on Cedar Street and craft stalls in the Church. There will be food stalls, a fun-fair on the street and refreshments in the village hall. Also, outside the village hall there will be games on the green, a tombola for children and another for adults. These will finish when all the prizes have gone, so make sure get you there early ! On the music front, we have an outdoor stage on which the Oakham Sings! ladies’ choir will be performing, as well as four bands. The first band slot is 10.15-11am for Trigger’s Broom. 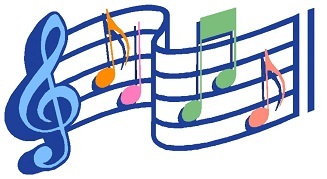 Next, it’s the Main Street Band from 11.15 to midday. Third up is Rebel Soul from 12.15-1pm and then to complete the show we have Toudion, a French dance band, on stage from 1.15-2pm. At 12.30pm and again at 2pm, the Rutland Morris Men will be dancing on the street outside the Blue Ball pub. Also starting at 12.30pm and continuing until 3pm, there is a ‘have-a-go’ dog agility event, interspersed with the dog show at 1pm; so bring your pooch if you have one! At 2.30pm it will be time to head to the stream for the duck national - you’ll need to buy tickets before then to have a chance of winning one of the fabulous prizes on offer. 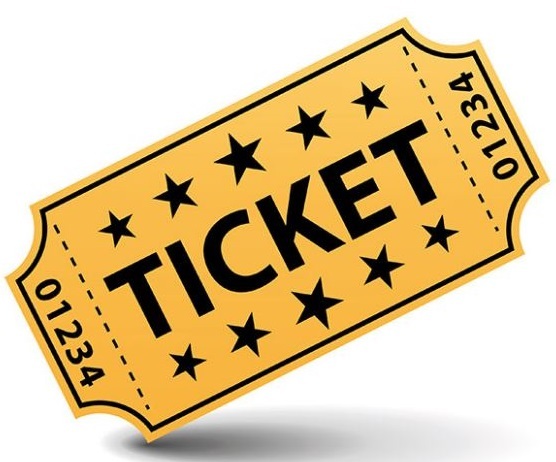 Tickets will be on sale from various locations around the village. At 3pm it’s time for the May Queen procession which is followed by Maypole dancing. We end the day on another high with the draw for the grand raffle which is being held at 4pm outside the village hall. £100 cash prize, sponsored by Murray Estate Agents. Have a look at the full list of prizes for details of other great things to be won, together with a list of our generous sponsors. Tickets will be on sale before the event and on the day, so make sure that you're in it to win it. Throughout the day, there will be food and refreshments such as burgers, hot dogs and ice creams from local food companies. In the village hall, there will be homemade sandwiches and delicious cakes, all home-baked; and of course both the pubs will be open! There are various events scheduled during the day. Early afternoon there will be a dog show, with classes for every sort of pooch, and owner! We are hoping to have the Rutland Morris Men perform for us and there will be the famous Braunston Duck Racing event held on the River Gwash. 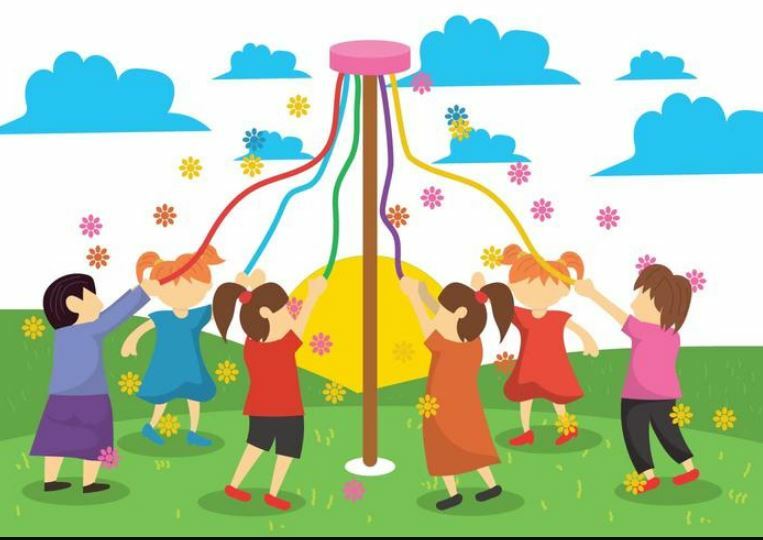 At 3pm the May Queen will be crowned, followed by maypole dancing by local children, after which the raffle prizes will be drawn. New for this year, there is a 'have a go' dog agility event as well as the regular dog show, and there will also be a set of new carriages for refreshments and street food, and a third carriage acting as a stage for the live music which will be playing throughout the day. 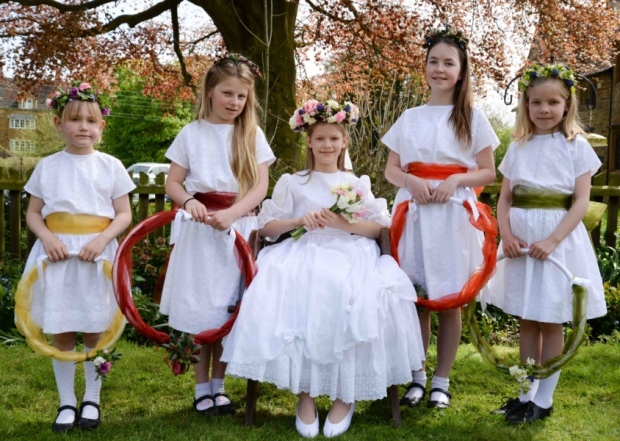 At 3pm in the afternoon the May Queen is crowned at a ceremony which concludes with traditional dancing around the May Pole by the local children. Keep checking back for the latest updates on what's happening by following us on Twitter, or call Chris on 07914 138817 for more information. As in previous years, the main streets will be coned off and parking will be available at the west end of the village (Knossington Road) for just £1 all day. Free disabled parking is available in the village. Just follow the signs. We are, of course, always looking for volunteers to help make the day a success. If you're in the village and would like to help out, either in the pre-fayre organisation, or on the day itself, please get in touch . It's a great way to meet people and get involved in village life. 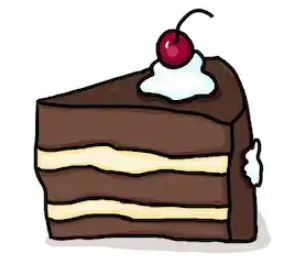 Whatever your skills, we have something for you; baking cakes, drumming up raffle prizes, helping with the car park, putting up posters, running the skittles, serving teas, rescuing the ducks and so much more. The Braunston May Day tradition dates back many years – this is the May Queen and her attendants back in 1925 . . . .